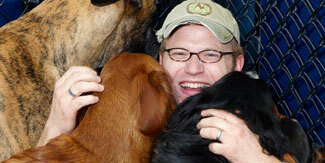 When your pets arrive at the Doghouse of Barrington, they receive a familiar kind of greeting from owner Dylan Nelson. It’s enthusiastic with joyful noises. There are kisses and hugs. And if your dog has been gone an especially long time, you might even see some jumping up and down. It’s a greeting that says your dogs been missed and that he’s especially welcome here. Leslie: “ She is dedicated to making sure that every dog has fun here. She's always thinking up new and fun activities to keep the dogs stimulated all day long. She believe's, as we do, that a tired dog is a happy dog." Asha: “ She is a bubbly, fun loving person. She is the groomer of all groomers in our eyes. She takes every necessary step that your dog stays stress and pain free. 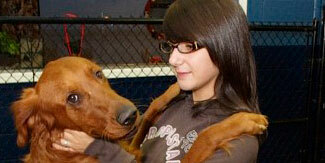 She has worked with many rescue dogs and has the patience they require to make the grooming experience enjoyable. Her love for dogs truly shows in her work." For questions about Web development and design, please contact Dylan Nelson at The Doghouse of Barrington.